These surfers may have ended up as fish food if it weren’t for a hawk-eyed photographer and his drone. 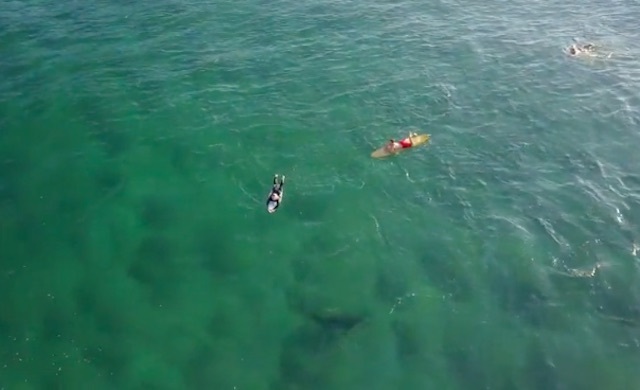 David Finlay of Kiama Beach, Australia was checking out the ocean waters with his aerial drone when he saw a shark in the waters underneath three oblivious surfers. When the photographer spotted the marine predators, he alerted the local lifeguards to their presence. After the lifeguards raised the alarm, the surfers headed for shore – where they eventually made it to safety. Should Finlay have missed the danger, the unfortunate swimmers may have become a sequel to the Jaws films.